From the above and the findings of a recent salt audit undertaken by the Department it suggests that local highway authorities are prepared for wintery weather. 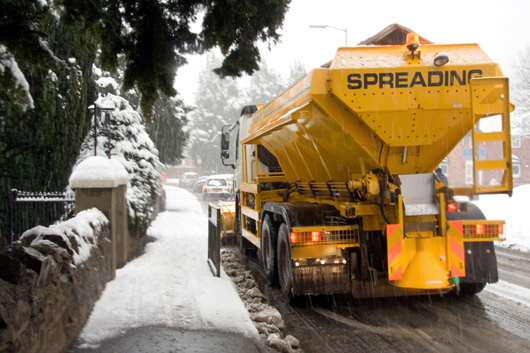 Earlier this year road de-icing supplies held up well after a weekend of severe weather, marking a difference to 2010 and 2011 when heavy snow generated unparalleled demand for salt supplies. It seems though that this year the authorities will be repeating the same performance of maintaining our roads in wintery conditions that we saw early on in the year. Authorities have already placed orders with salt supplies and have received stock, suggesting that the country is in a much better position than a few years ago when demand soared during record winters. Salt stock levels will be monitored on a monthly basis by the Department of Transport and the Highways Agency and the DfT will work closely with the Met Office to have the best advice available to prepare for severe winter weather.